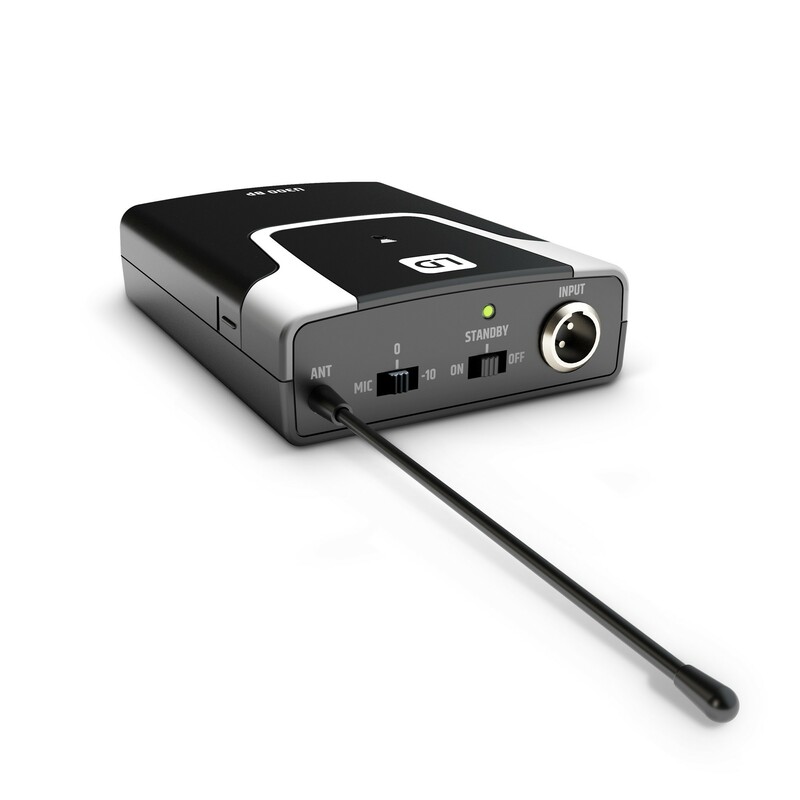 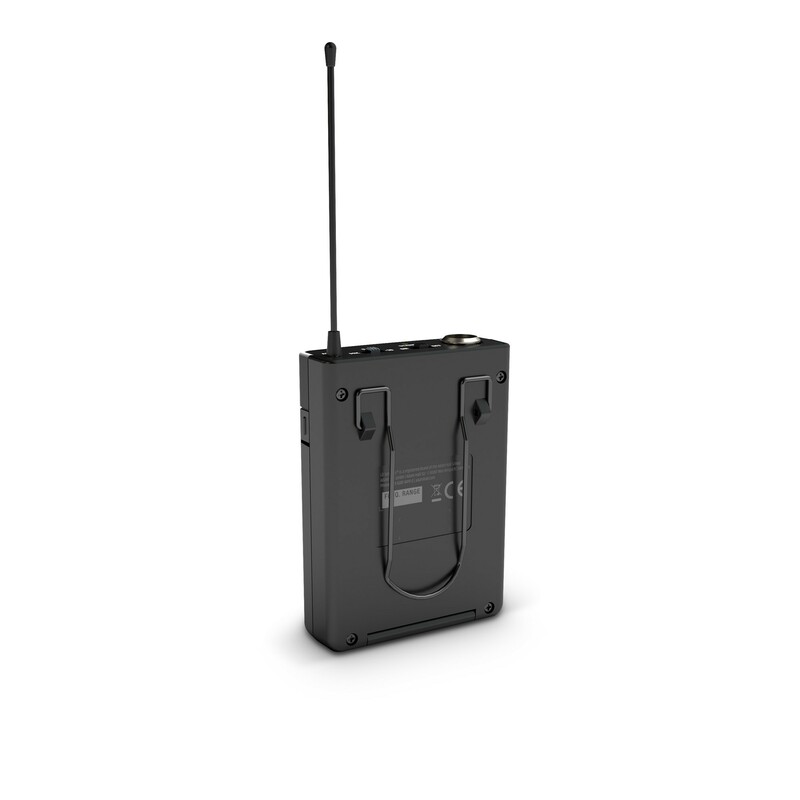 Operating in the 584 - 608 MHz band, this U300 Series bodypack transmitter features a miniature XLR input with 3-position level selector to accommodate microphones as well as active and passive instrument pickups. 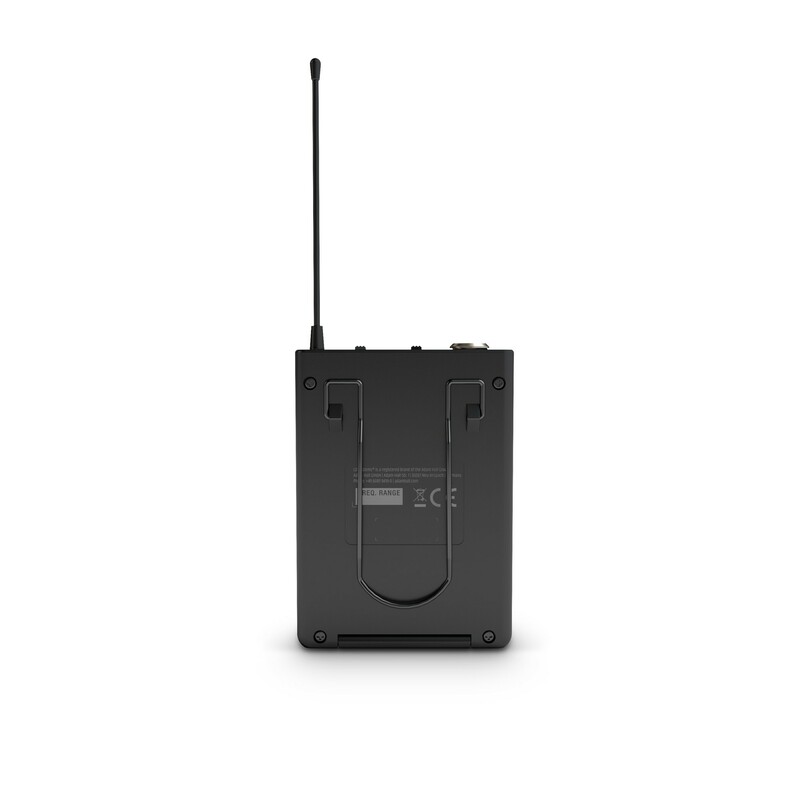 It has an output power of 10 mW and 25 Hz - 16 kHz frequency response to handle 5-string bass guitars with a low B string. 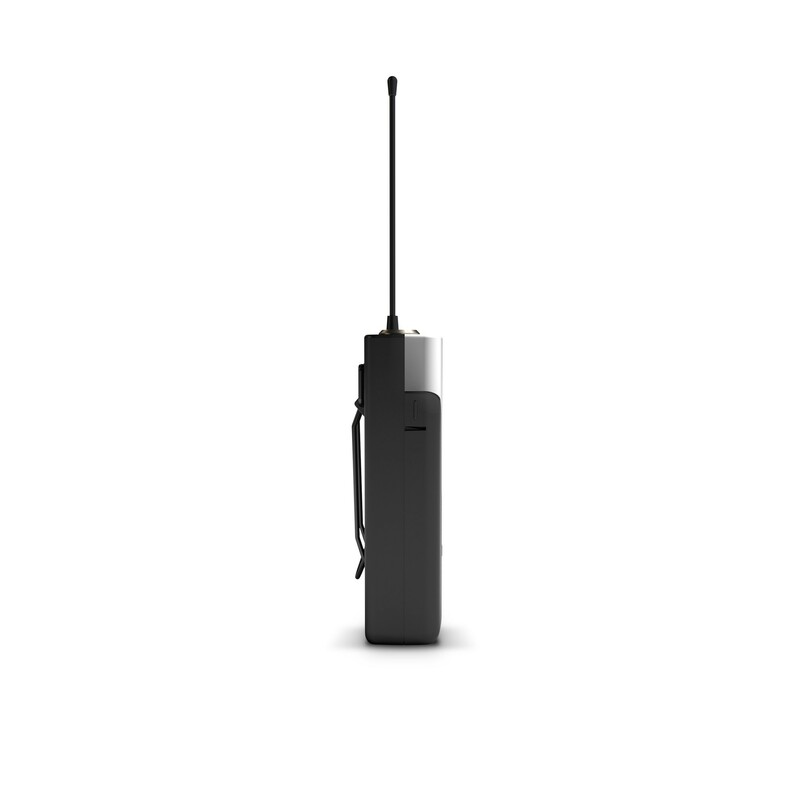 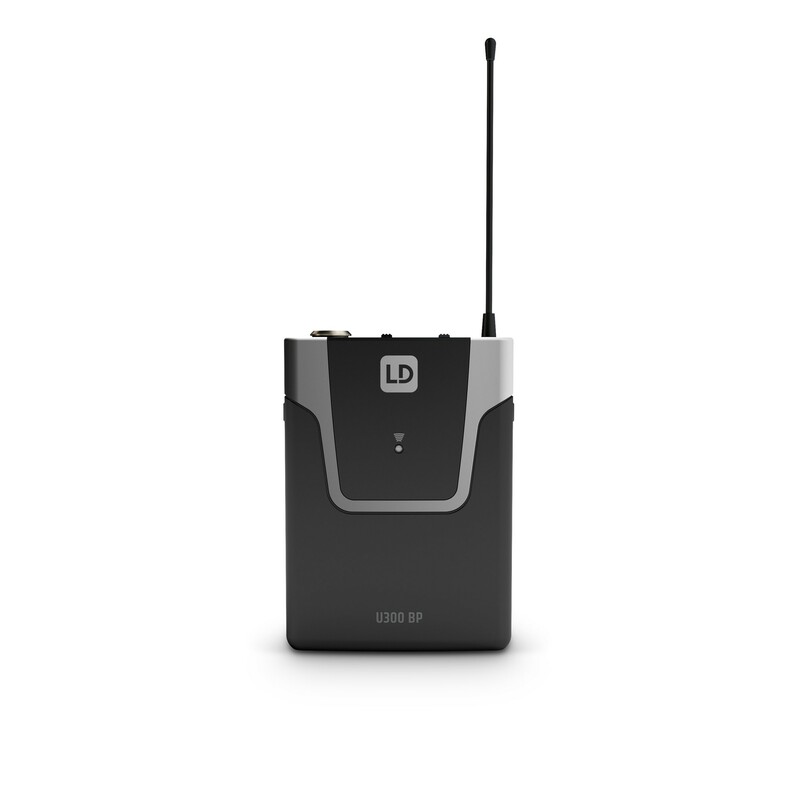 The U305 BP provides over 10 hours of continuous operation on two AA batteries, easy IR syncing with the U305 receiver and pilot tone transmission to eliminate RF interference. 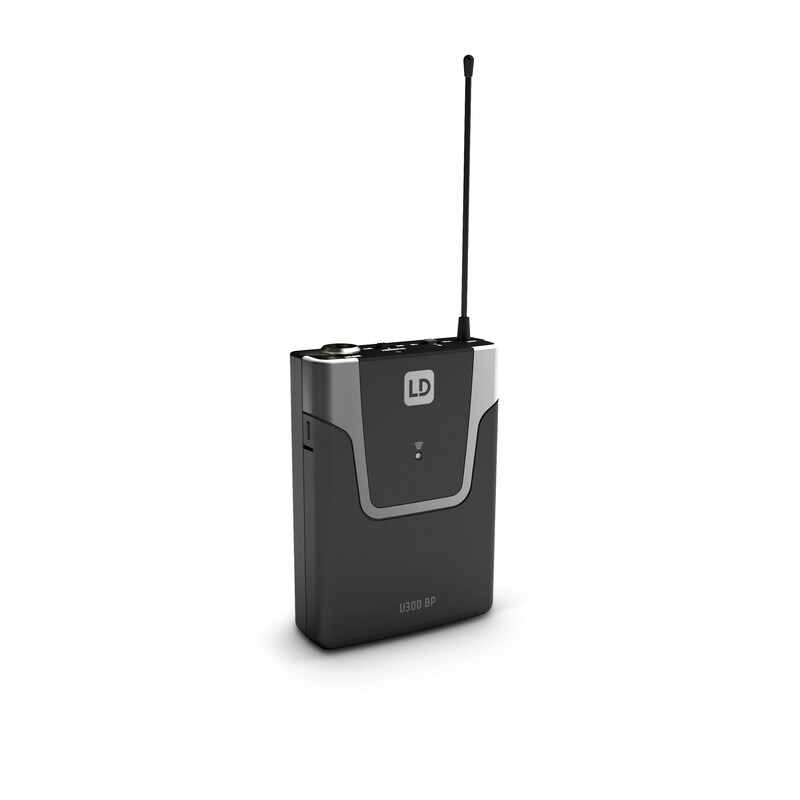 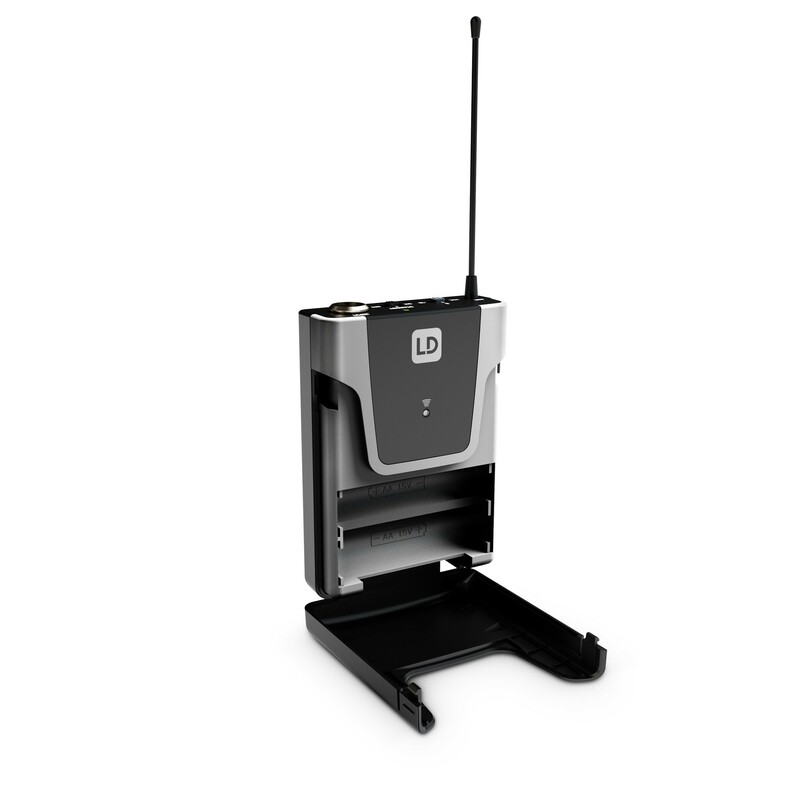 The bodypack's on/off switch includes a convenient standby position for temporary muting.